HomedigestIs a scientific definition of consciousness possible? When patients suffer severe brain damage and enter a coma or a vegetative state, Monti said, it is very possible that the sustained damage impairs their normal brain function and the emergence of consciousness in the same manner as was seen by the researchers in the healthy volunteers under anesthesia. “If this were indeed the case, we could imagine in the future using our technique to monitor whether interventions are helping patients recover consciousness,” he said. “It could, however, also be the case that losing consciousness because of brain injury affects brain function through different mechanisms,” said Monti, whose research team is currently addressing this question in another study. “As profoundly defining of our mind as consciousness is, without having a scientific definition of this phenomenon, it is extremely difficult to study,” Monti noted. This study, he said, marks an initial step toward conducting neuroscience research on consciousness. Monti’s expertise includes cognitive neuroscience, the relationship between language and thought, and how consciousness is lost and recovered after severe brain injury. He was part of a team of American and Israeli brain scientists who used fMRI on former Israeli Prime Minister Ariel Sharon in January 2013 to assess his brain responses. Co-authors of the current research included Evan Lutkenhoff, a UCLA postdoctoral scholar in Monti’s laboratory; Mikahil Rubinov of Cambridge University in the U.K.; and Steven Laureys, who leads the Coma Science Group at the Cyclotron Research Center and the department of neurology at Belgium’s Sart Tilman Liege University Hospital. The research was conducted at Belgium’s University Hospital of Liege and was funded primarily by the James S. McDonnell Foundation. Whether unique to humans or not, consciousness is a central aspect of our experience of the world. The neural fingerprint of this experience, however, remains one of the least understood aspects of the human brain. In this paper we employ graph-theoretic measures and support vector machine classification to assess, in 12 healthy volunteers, the dynamic reconfiguration of functional connectivity during wakefulness, propofol-induced sedation and loss of consciousness, and the recovery of wakefulness. Our main findings, based on resting-state fMRI, are three-fold. First, we find that propofol-induced anesthesia does not bear differently on long-range versus short-range connections. Second, our multi-stage design dissociated an initial phase of thalamo-cortical and cortico-cortical hyperconnectivity, present during sedation, from a phase of cortico-cortical hypoconnectivity, apparent during loss of consciousness. 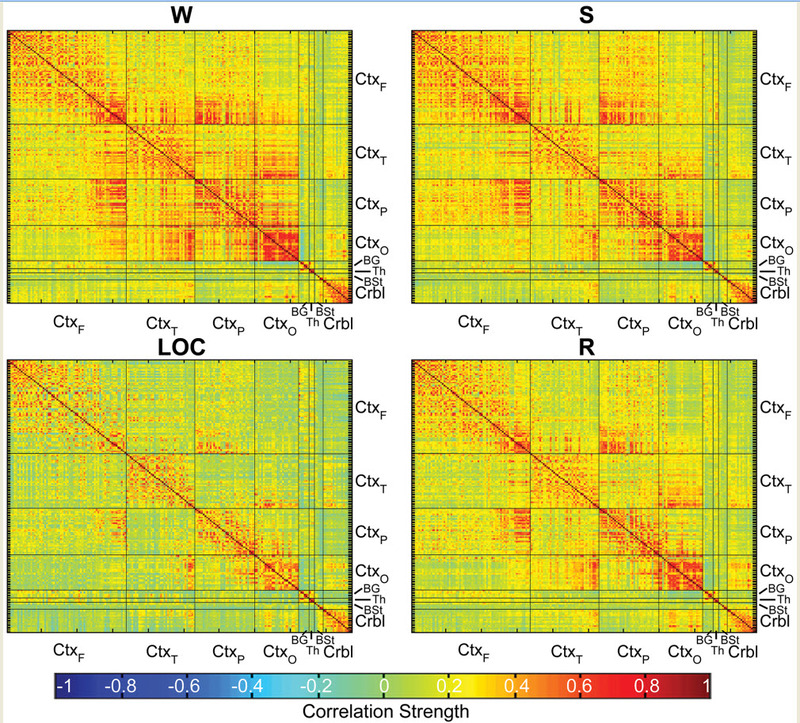 Finally, we show that while clustering is increased during loss of consciousness, as recently suggested, it also remains significantly elevated during wakefulness recovery. Conversely, the characteristic path length of brain networks (i.e., the average functional distance between any two regions of the brain) appears significantly increased only during loss of consciousness, marking a decrease of global information-processing efficiency uniquely associated with unconsciousness. These findings suggest that propofol-induced loss of consciousness is mainly tied to cortico-cortical and not thalamo-cortical mechanisms, and that decreased efficiency of information flow is the main feature differentiating the conscious from the unconscious brain.